Haunted houses are another perennial attraction. The Atlantic has a lovely slideshow of feature films starring spooky houses. The Cthulhu mythos as imagined by kids. Really, what more needs to be said? If you’re still looking for costume inspiration (or if you’re just spooked out and are looking for something different), the Victoria & Albert Museum is running an exhibit all about postmodernism during the 1970-1990 era. Also at the V&A is a fantastic exhibit featuring the clothes and style of Annie Lennox. Who knew the crazy kids would end up so respected? Also, Bill Lucey has a terrific roundup of popular Halloween costumes this year. Another Occupy movement library is up and running! Boston’s library has its own wiki and much more. In headier economic times, I got to go to the Internet Librarian conference. I’m not doing that these days, but the conference is still going strong, and Gary Price’s presentation on new and interesting beta sites is inspiring. And finally, Flavorwire has a great gallery of portraits of authors when they were young. Tomorrow: links from others, and our final giveaway contest! Psst, more giveaway fodder over at the Steampunk Librarian! Hey, it turns out that goths are happy, secure, and aging quite nicely! See, Mom, there was never anything to worry about. If you’re looking for ghosts or haunted houses in the Chicago area, a new website locates all the abandoned buildings in the metro area. I’m just saying. Today is not only my wedding anniversary, it’s also the second anniversary of Beyond Victoriana! They’re having a giveaway over there to celebrate. Our own giveaway continues; look for more this week! A transatlantic steampunk convention may be in the works; if you’re interested, join in the conversation! Closer to Steampunk Librarian HQ, Pandora Promotions is steaming along with several events. It’s not too early to mark your calendars. Has anyone seen the steampunked-up Three Musketeers film? I'm thinking it may be a guilty pleasure sort of viewing experience for me. And finally, a bridge built in Victorian times is going solar, and will provide energy to a new Blackfriars rail station. How awesome is that? Happy Friday! Thanks to everyone who sent in links and everyone who reads this goofy little corner of the interweb. It's much appreciated. From Julie: one of John Lennon’s teeth is to be auctioned off. This leads to all sorts of strange questions and ideas. Also from Julie: the British Library’s catalog has links to Amazon, which has irked some people (UK booksellers, namely). From Cassandra: Viva la difference! Also from Cassandra: a new insight into ancient Egypt’s mummification process. From Bunny: Mizerella’s spooky arts and crafts – excellent inspiration for the Halloween season! Halloween is almost upon us, hooray! Here are some bonus spooky links sent in by others to start today’s post. Bunny provides some costume ideas. I’m thinking I might be able to pull off the Virginia Woolf concept. Cassandra sends in a helpful flowchart to determine if you’re dating a vampire. Hey, it’s good to know these things. Black Phoenix Alchemy Lab, makers of spooky-themed perfumes, has a new line based on Neil Gaiman and Terry Pratchett’s classic Good Omens. Oh, and the world's also supposed to end on Friday. I would say something snarky, but as the world news is increasingly chaotic and people seem to be dying unexpectedly at a rapid rate over the past month or so, we shall just hunker down and hope for the best. Right? Another giveaway contest is up over at the Steampunk Librarian. Go and see! I have decided that if America gets too carried away, I will aim to move to Brazil and become part of Inhotim, a contemporary arts park just getting started. It looks gorgeous and escapist! More pragmatically, I’m also impressed by efforts in Seattle to create an energy self-sufficient building, and hope it’s the first of many innovations in the worlds of energy and architecture. Here’s a little something for almost everyone. If you like Egyptian history, you can help transcribe papyrus scrolls! Crowdsourcing is a wonderful thing. If you’re into the art of the book, check out Facsimile Dust Jackets for a huge gallery. If alchemy intrigues you, the Lloyd Library right here in Cincinnati is running an entire exhibit! Two New York Times articles finish today’s post. The first discusses Baryshnikov’s archives which are en route to the New York Public Library; the other excerpts passages from Spalding Gray’s journals, which will soon be published. I’m a little late, but it’s the season of Halloween, so get thee to Countdown to Halloween and the Halloween Forum! The latter provides endless resources for decorating and entertaining (and scaring); the former is a group project which is spooky, stellar, and serves as an introduction to many great sites. 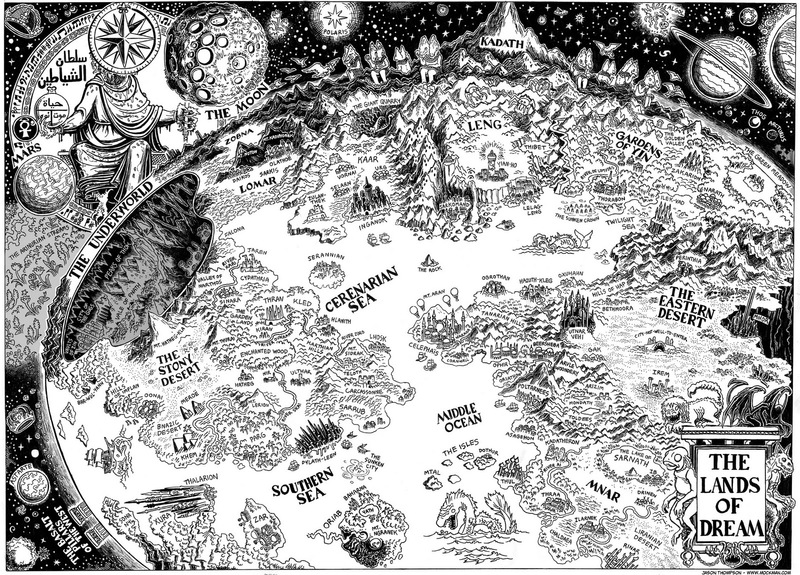 I just discovered Redecorating Middle-Earth in Early Lovecraft and am loving it. Also discovered: the genre of quilts made from grave rubbings. Wow, I had no idea. If you are not into the spooky stuff, consider the Woolly Worm festival this weekend, in which caterpillars will predict the winter! Maybe. Also, the steampunk giveaway has begun; the first one up for grabs is George Mann’s Ghosts of War. It's book giveaway time! Separate entries will be posted over at the Steampunk Librarian website, so you can enter and get some free books. Hooray! The Occupy Wall Street movement is gathering steam at a rapid rate; here's a map of what's going on where. Holly also sent a great summary of the "Occupy Sesame Street" meme that's going around Twitter (you can check for more updates, too!). 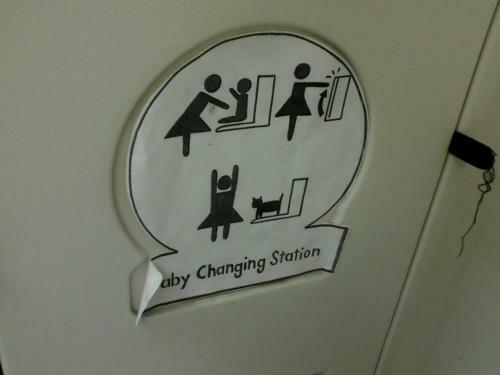 Also from Holly: a changing station like no other. Hee. From Cassandra: a proud progressive hillbilly's take on current world problems. Definitely worth a read. Also from Cassandra: the secret life of pronouns. Sounds scandalous, doesn't it? From Julie: it's not too early to begin preparations for celebrating Charles Dickens's 200th birthday next year! And finally, happy Ada Lovelace Day to everyone, and especially for women working in the sciences. Blargh, sick day. Hopefully this is a quick-passing bug and I'll be back tomorrow! Happy October! Halloween links are coming; for now, enjoy the tree show! The final volume of the Dictionary of Regional English is coming out, huzzah. I love this sort of stuff. Meanwhile, over in Paris, the Musée d'Orsay has been renovated and rejuvenated.